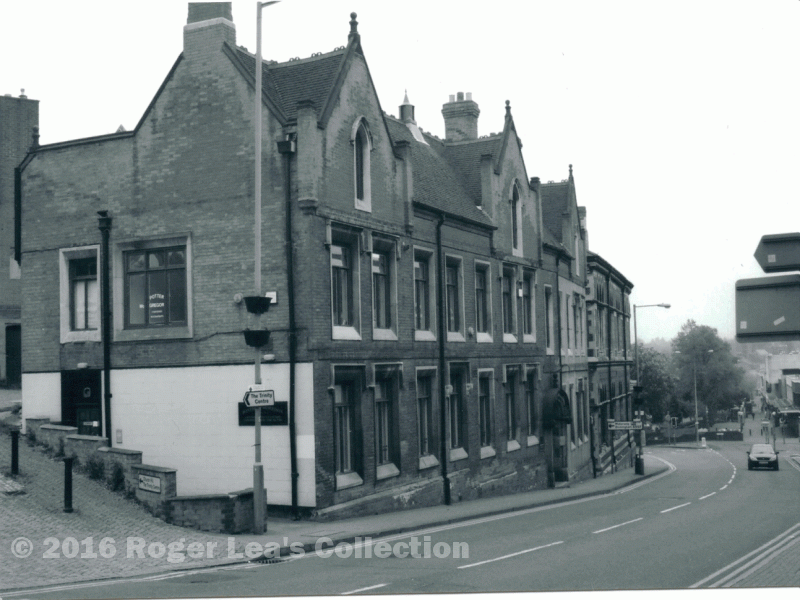 Primary schools capable of accommodating all the children in the Parish of Sutton Coldfield opened their doors in 1826. However, there was no provision for secondary education, except a sort of ad hoc school run by Mr. Percy. The Warden and Society at their meeting of August 11th 1834 set up a committee “for the purpose of fixing upon a scite for the school now conducted by Mr. Percy”, the existing building being unfit for purpose. The meeting of October 19th saw plans of the new school “against the church yard” and resolved that a “free class of twelve boys be elected” to attend the school, known as the Upper School. Up until 1849 the Grammar School, which perhaps should have taken on the role of the Upper School, had been at a low ebb. A new Headmaster, Josiah Wright, came in 1849, and was elected a member of the Warden and Society the following year. In December 1851 Mr. Wright was added to the School Committee, which was asked to “report to the Corporation whether the present system of education in or management of the schools can be improved”. The following June the Warden and Society resolved “that the Corporation Upper School be abolished” and that twenty of the most forward boys in the lower school be removed to a class to be provided by Mr. Wright at the Grammar School. This decision caused great dissatisfaction in the town, as Matthew Wilson explained at a public inquiry into the governance of Sutton Coldfield in 1855. He said that he had been paid £48 a year by the Corporation for the instruction of twelve boys, and an additional twenty boys came from all over the parish, paying ten shillings a quarter. He offered “a good English and commercial education”. When his school closed the Corporation paid £50 to Josiah Wright for the education of twelve boys only at the Grammar School where the education was classical. However, Wright was not openly accused of corruptly using his position on the School Committee to feather his own nest. Subsequently, Matthew Wilson set up a private boarding school at The Anchorage, a large house which stood in Lichfield Road almost opposite the Grammar School. It must have been galling for Josiah Wright look out of his drawing-room window in 1861 to see Matthew Wilson’s school flourishing with fourteen boarders and over twenty day boys while his own school register only just exceeded twenty names altogether. In 1863 a new headmaster came, the school was renamed Bishop Vesey’s Grammar School, and by 1875 there were over 100 on the roll. Matthew Wilson’s school also succeeded, moving upmarket to Ashfurlong Hall and styling itself “Ashfurlong Hall Classical College”. The Upper School on Church Hill was demolished and the site redeveloped as the Sons of Rest, just visible on the extreme left of this picture. The master’s house in Mill Street occupied part of the disused workhouse in the foreground.